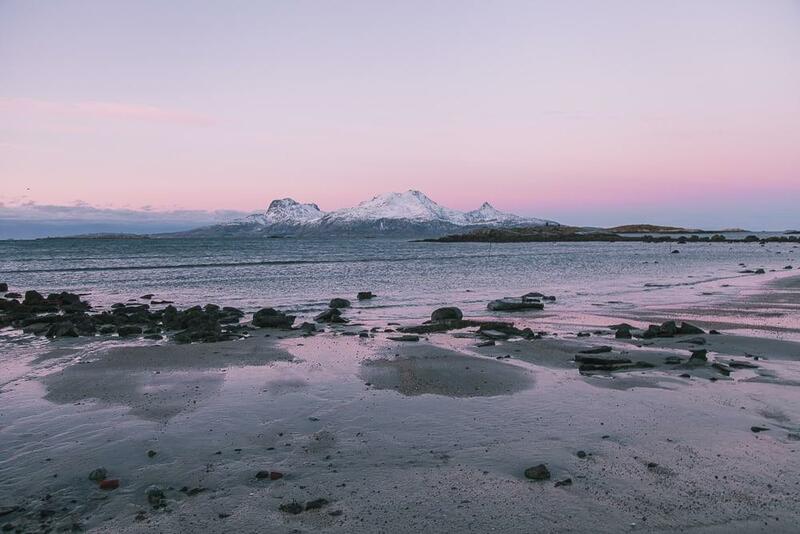 / Norway / Bodø in Winter – Is It Worth Visiting? This past summer I spent a few days in Bodø and totally fell in love with the city. 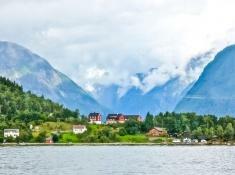 It’s young and vibrant, and I believe what people like to call “up and coming.” It seems like new businesses are constantly popping up there, and while ten years ago I never heard anyone express much enthusiasm about the city, now it seems like one of the cool places to go in Norway. Bodø is often used as a base for reaching Lofoten and the Helgeland coast, as that’s where most of the ferries leave from, but my time there last summer convinced me that Bodø is well worth a few extra days on anyone’s Norway itinerary. I even came up with seven reasons why you need to visit Bodø. 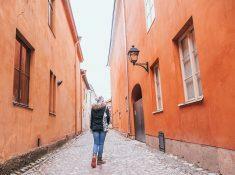 But I still had one lingering doubt about the city: is it worth visiting in the winter? 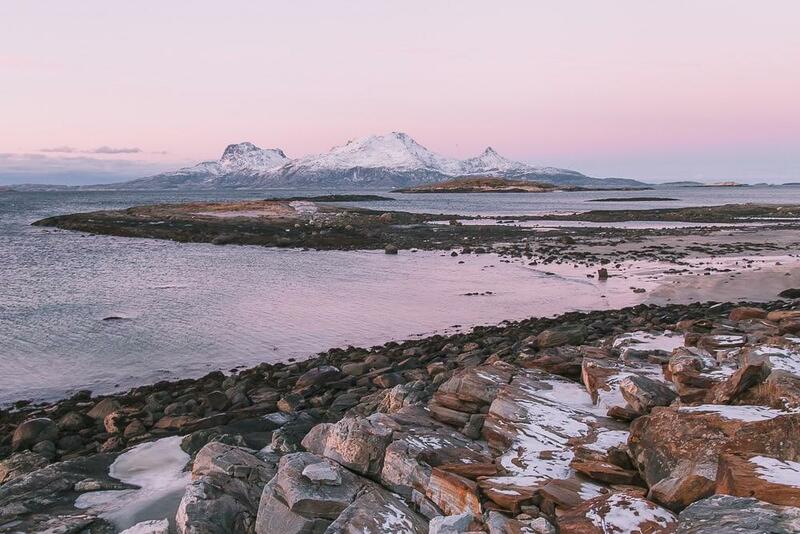 You see, one of the things that makes Bodø so special is the dramatic landscape around the city, with sharp mountain peaks extending out into the Norwegian Sea. But that landscape also means that the city is windy and at least when I was there in June, it was cold. And while a cold gust of sea air is refreshing in June, what would it be like in December? As luck would have it, on my last night at Støtt Brygge I found myself eating dinner with three mink hunters from – you guessed it – none other than Bodø. 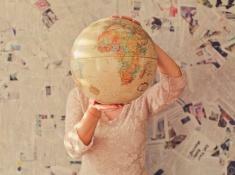 We got the usual pleasantries away – which as on most of my solo travels consisted of my new friends asking if I was alone and then inviting me to join them for dinner, then expressing surprise (and dismay?) 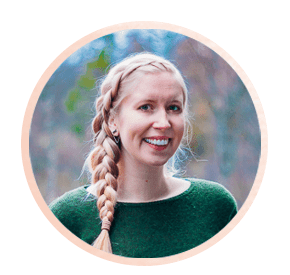 to hear that I was traveling on my own, to which I gently explained that hello, they wouldn’t even be talking to me if I were with other people, ending with them agreeing that maybe traveling solo actually could be nice – and then I told them that actually, I had nearly moved to Bodø. In fact I came really close to moving to Bodø instead of Mosjøen! But one of my concerns for Bodø was that winter weather. They just smiled at each other and informed me that I’d be moving to Bodø in no time. Especially after I saw the city in the winter. First of all, while way up north in Norway polar night consists of a lot of blue light, Bodø lies right at that sweet spot on the globe where no, the sun doesn’t rise most of December, but it does get close enough to bathe the city in pink and orange light all day. Guys, it is so beautiful. On one of my days there I went on a hike with Stella Polaris, who drove a group of us out to the coast so that we could see a bit of Bodø’s famous natural surroundings on an arctic coastal walk. And yeah it was chilly and windy, but I really do think Bodø is the city in Norway with the most stunning landscape. I mean, those mountains! And those beaches! That turquoise water! And the sea eagles! And with that winter light? Ugh, my photos just can’t do it justice. But the other great thing about Bodø is that it is a city, so there’s a lot to do inside as well. So when it got dark I didn’t just have to wait around hoping to spot the Northern Lights, but instead I got to know more of the city’s cafés, shops, restaurants, and even a museum. 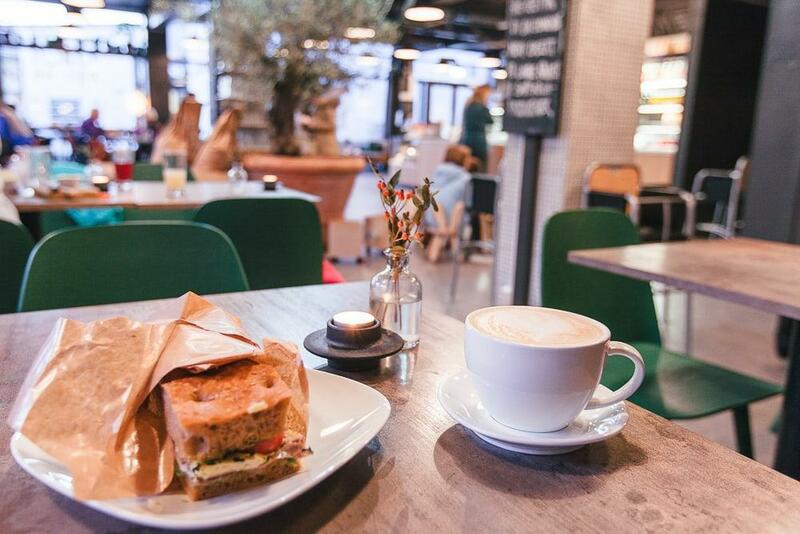 I had lunch at Berbusmel a café started by two brothers committed to using local ingredients and a blend of modern and traditional ways of preparing food. I enjoyed the atmosphere there so much that I returned the next day for another chai latte – so yum. 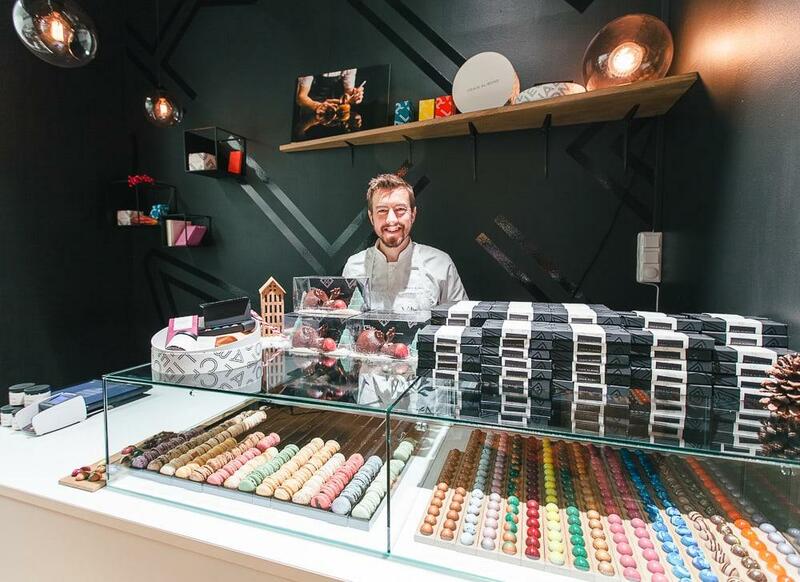 Speaking of local ingredients, you definitely also have to check out Craig Alibone for some locally produced chocolates! A lot of the chocolates take inspiration from the landscape around Bodø, and sampling them is such a fun way to get to know the area better. And those who know me will be surprised by this, but one of my favorite things I did in Bodø was visiting the Norwegian Aviation Museum. 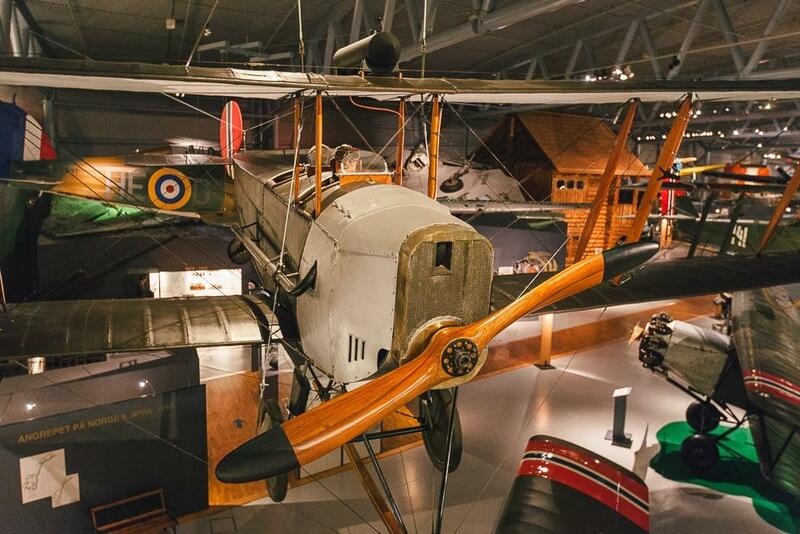 I’m not a big museum person, but as a traveler I do have a bit of a thing for airplanes, plus it was actually really interesting to learn about Norway’s aviation history. 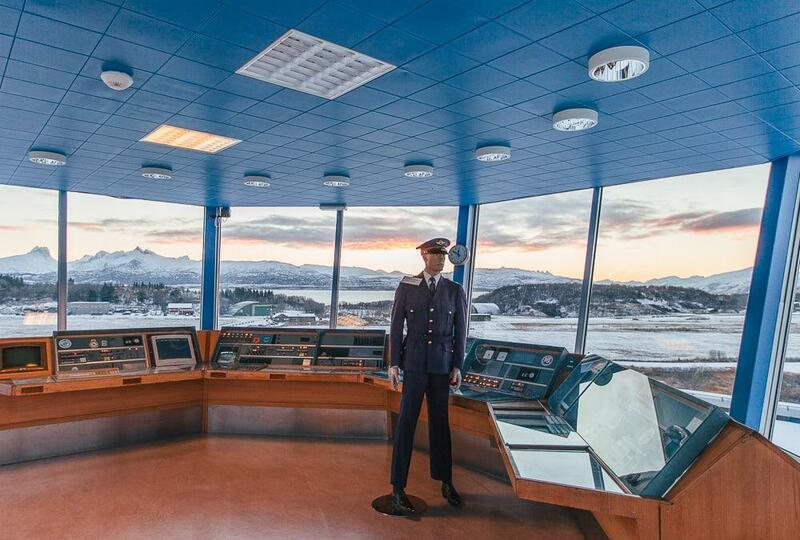 Like, I had never really thought about how important aviation has been for Norway, but it makes sense – this is an enormous country made up largely of fjords and mountains, so being able to get around with airplanes has had a huge impact on life here. Plus the top of the museum has one of the best views out over Bodø. There are also several interactive exhibits set up for kids here, so if you’re visiting Bodø with kids this would be a great place to come. 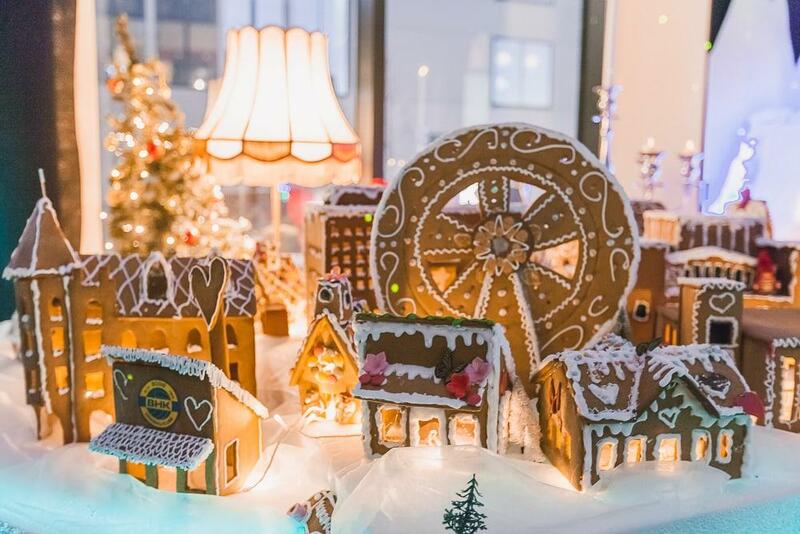 Oh and if you happen to visit Bodø around Christmas, they have an amazing gingerbread replica of the city at the public library that’s definitely worth checking out! 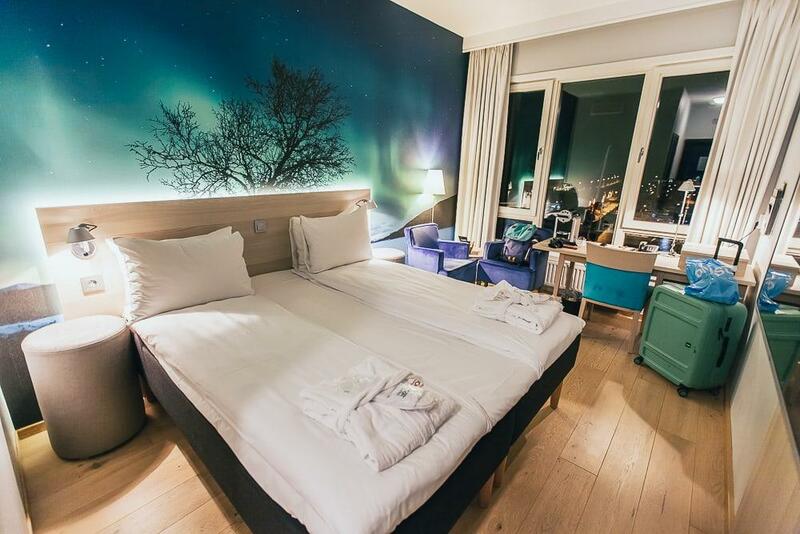 I stayed at the Thon Hotel Nordlys, which is where I stayed during my last visit to Bodø, and where I’ll try to stay whenever I return to Bodø because it’s probably my favorite Thon hotel in Norway. The view of the harbor from the hotel is beautiful, and I said this last time but it’s worth saying again – the breakfast here is phenomenal. There’s even a chocolate fountain! 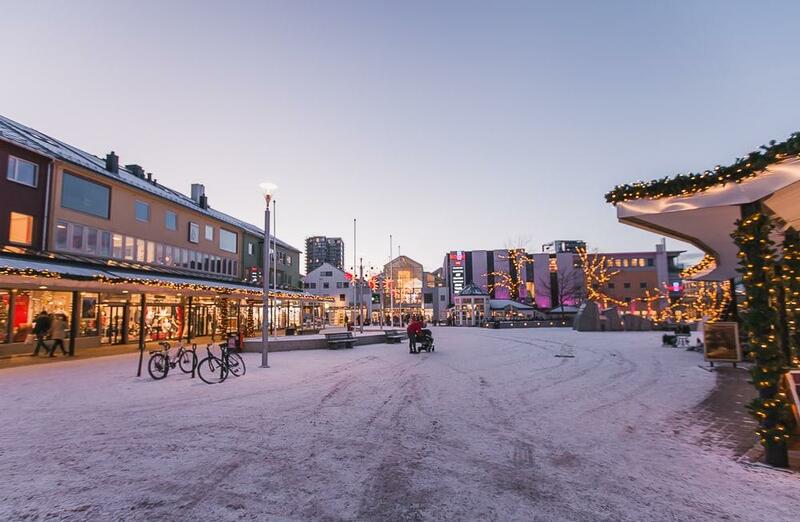 One of the great things about Bodø is how easily accessible it is – something that can’t be said of all Northern Norwegian cities. 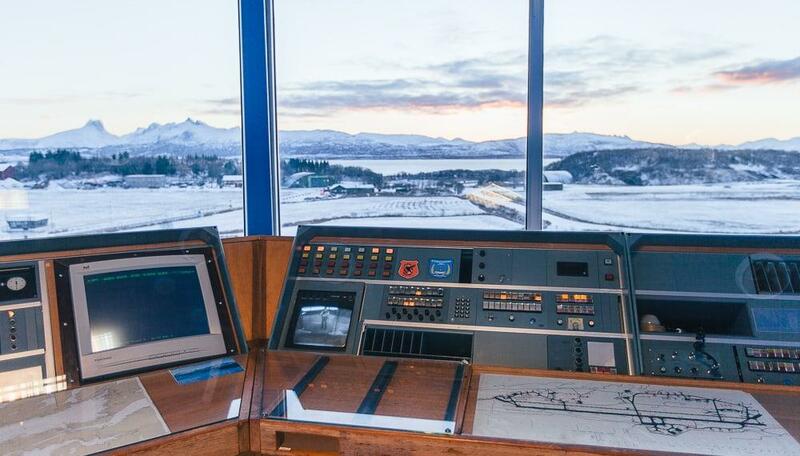 The airport is within easy walking distance to downtown, and Bodø is the Northern end of Norway’s train line, so you can also take the train here! The ride is stunning – especially the last few hours before reaching Bodø – so I can definitely recommend the journey, if you have enough time. And then Bodø also is really well connected with ferries, so you can get to Bodø and leave by ferry to places like Lofoten and the Helgeland coast. It seems to me that winter makes this city more beautiful than in other seasons because you can feel the spirit of warmth and comfort throughout the city. 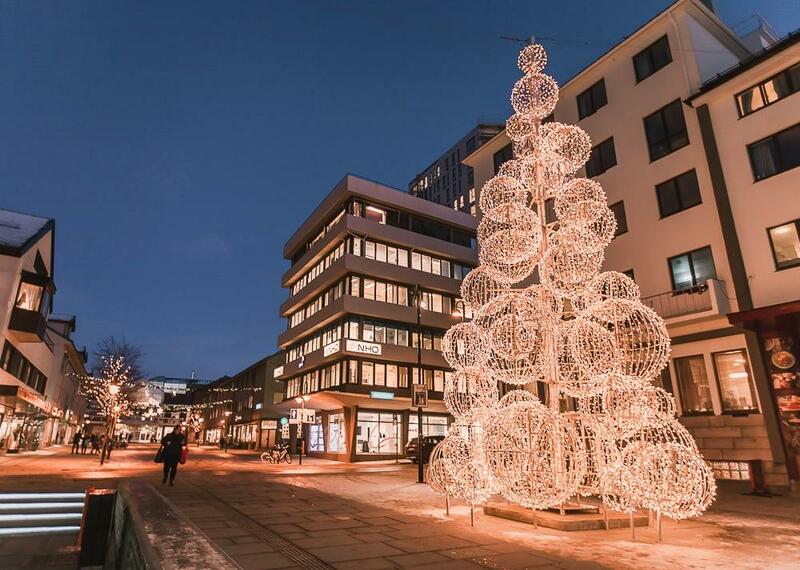 I enjoyed reading this post about Bodø in winter! It looks gorgeous! I am going to put this city in the wish-list. Thanks so much! Wow!!! Bodo would have to be in my next bucket list now. Those pictures are GREAT!! Can’t wait to see this place in person. It’s quickly becoming one of my favorite cities. 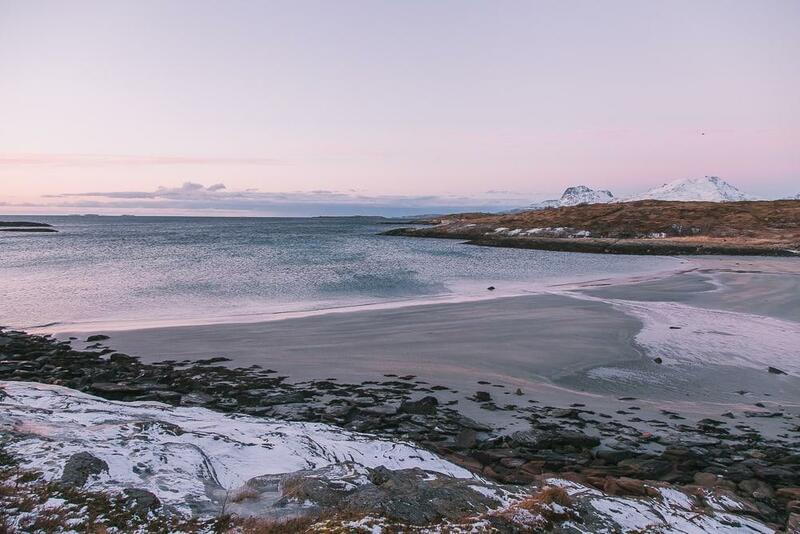 Great post about winter-Bodø! It can be really lovely here, and your pictures are beautiful. 😀 I walk my dog along those beaches on the north side of town almost every day all year long. I love it there, but it can be so windy… I also love the Berbusmel café! Especially their cinnamon buns. Yum. That sounds like my dream life haha – I would love to have a dog one day. All right, you’ve bumped Bodø onto my want-to-visit list! Also: I was indeed very surprised to hear you actually visited and liked a museum! 🙂 And does your suitcase really look like a biq square strongbox or is that just the angle? Oh my, it looks amazing! I tried putting Bodo to my travels plan when in Norway, but there’s just no time to see it all, I would have to visit Norway few times for me to see all of the beauty (or at least a half of it). 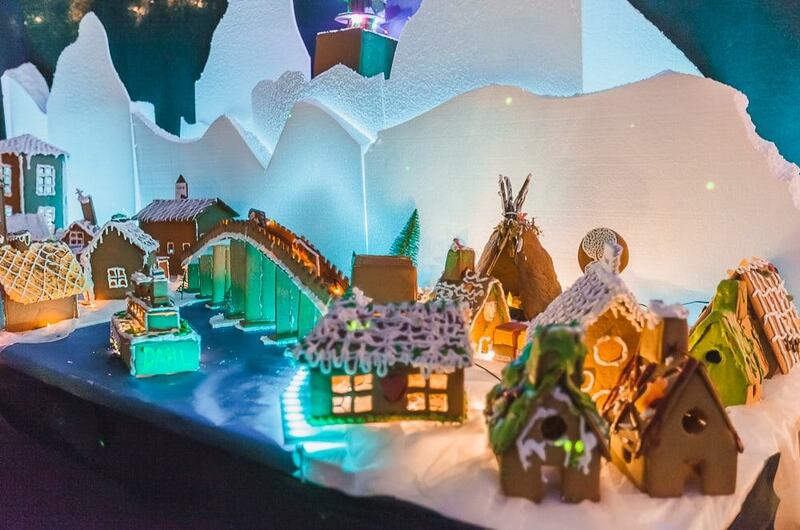 Thon hotel looks perfect, so cozy! 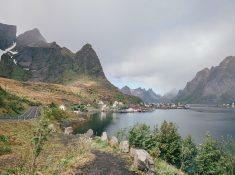 It’s so true – Norway is such a big country! The area around Bodø has proven to be one of my favorites in Norway though, so now I find myself going back there again and again.